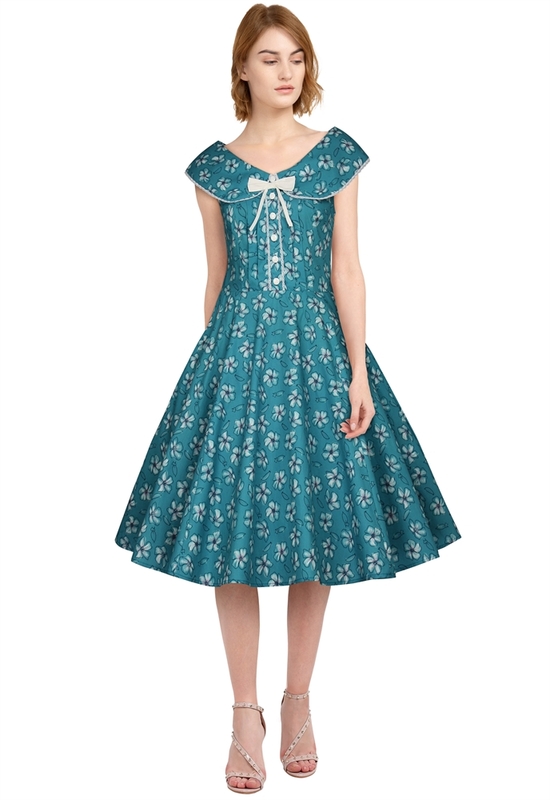 It's a retro dress with lace trims in collar and bust. Buttons and a tie in front with pleats in sides. Side pockets in waist. The petticoat is not included. Standard size approx. length: 38 inches; Plus size approx. 42 length: inches.